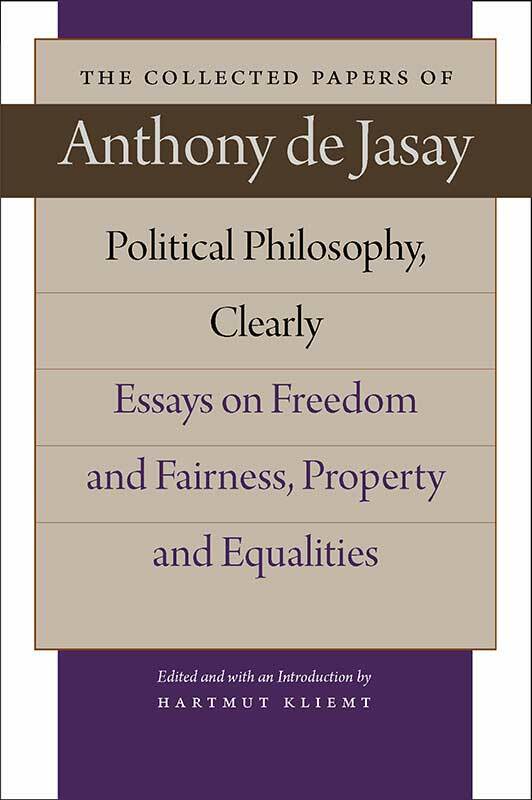 Anthony de Jasay, one of the most independent thinkers and influential libertarian political philosophers of our time, challenges the reigning paradigms justifying modern democratic government. The articles collected in Political Philosophy, Clearly delve deeply into the realm of political thought and philosophical criticism. A reader who is interested in a philosophical, yet clear, jargon-free account of such fundamental topics as the relationship between liberty and justice, the viability of limiting government, the role of property, and the possibilities of the private provision of public goods as well as the private enforcement of public rules will find reading this book rewarding. Anthony de Jasay is an independent theorist living in France. Hartmut Kliemt is Professor of Philosophy and Economics at the Frankfurt School of Finance and Management.